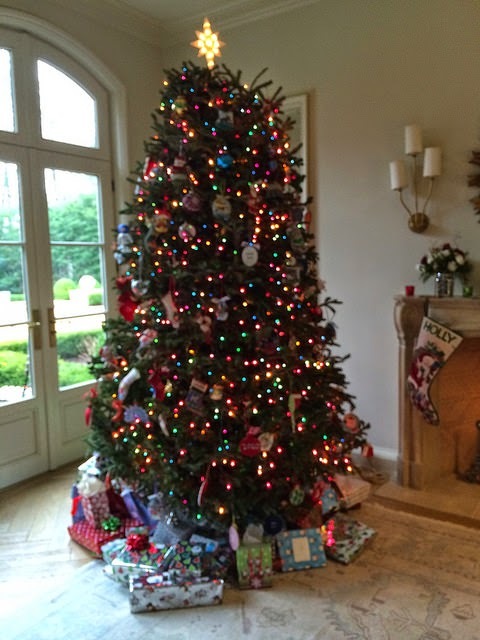 Our Christmas tree, 2014. Somewhat of a lopped off top, but the fullness of the branches has been wonderful for ornaments! Steve and I send our Merry Christmas wishes to you and your family.